Ascutney Hospital is located in Windsor Vermont, just west of the Connecticut River. This 145kw system is built in two separate systems because of multiple utility line right of ways on the property. A great amount of time was spent configuring the layout to weave it’s way around these easements. 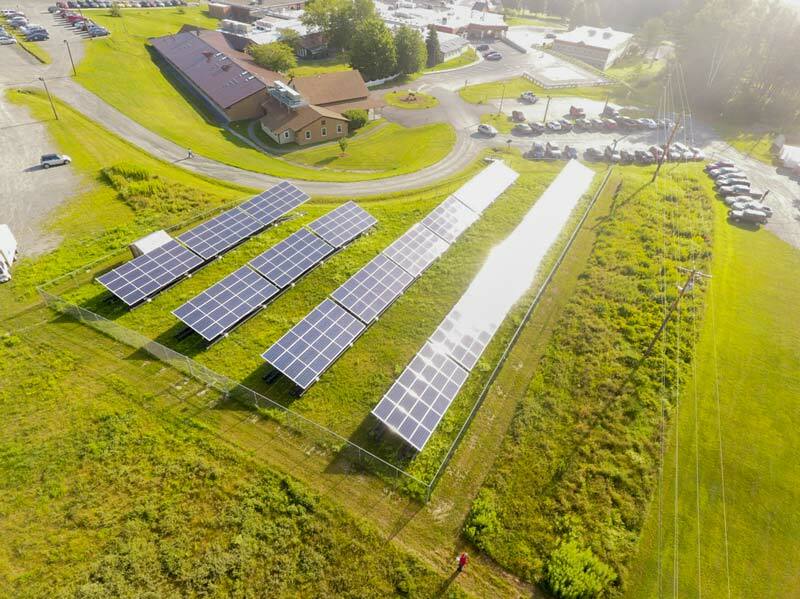 The system is connected directly to Green Mountain Power infrastructure and the power is net metered to the hospital. We purchase sheep for these enclosures to keep the grass cut and the hospital staff is kind enough to manage their water.